Yay for Daylight Savings Time! Even though it messes with my sleep schedule a bit, I love seeing more daylight outside until after 7PM. It also means more time to hang out outside and BBQ more. My first post DST cook for 2017 is Beer Can Chicken. 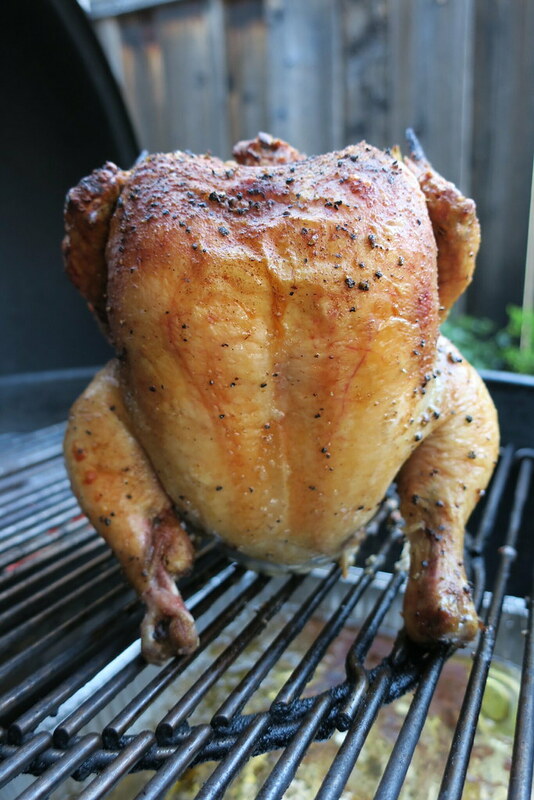 Beer Can Chicken, for many years, has been a super popular method for barbecuing whole chicken on the grill. This method involves sticking a whole seasoned chicken on top of a half full beer can and barbecuing the chicken over indirect heat until the crackling skin is super crispy and meat is moist and juicy. It is believed by avid BBQers that the beer inside the beer can releases steam and moistens the chicken as it cooks. Although there is no scientific proof that the steam from the beer actually makes the meat more moist, the Beer Can Chicken looks hella cool and tastes great. My kids let out a bunch of OoOohs and AaAaaAahs when I opened the Weber grill lid and unveiled the smoking hot beer can chicken. 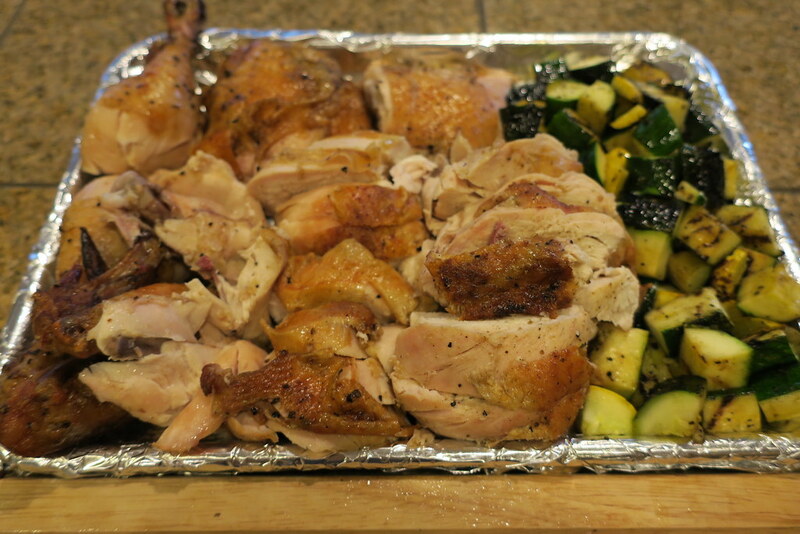 Taylor, my youngest, giggled and said that the standing chicken that looks like a “froggy.” The kids enjoyed the presentation and deliciousness of beer can chicken and devoured it quickly with rice, grilled zucchini, and BBQ sauce. Season Chicken – Rub Kosher salt underneath the skin of the breast and thighs and inside the chicken cavity. Lather chicken skin with olive oil and sprinkle your favorite rub evenly on the inside and outside of chicken. Let chicken sit in seasoning for at least two hours. Prepare Beer Can Chicken – Open a can of beer and chug half of it. Scoop in a teaspoon or two of BBQ rub inside the half full beer can. Securely insert whole chicken over the beer can until it is standing with legs down. 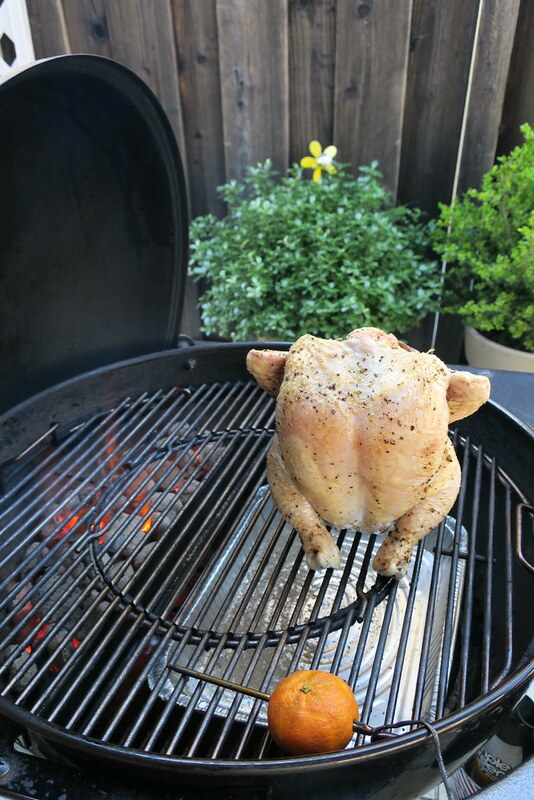 BBQ Beer Can Chicken – Setup the grill/smoker for two zone cooking. Bring the indirect side of the grill/smoker to between 325-375 degrees. Place beer can chicken on the indirect side of the grill/smoker. Close lid and BBQ chicken for 1.5 hours or until the internal temperature of the chicken breast reaches 165 degrees. 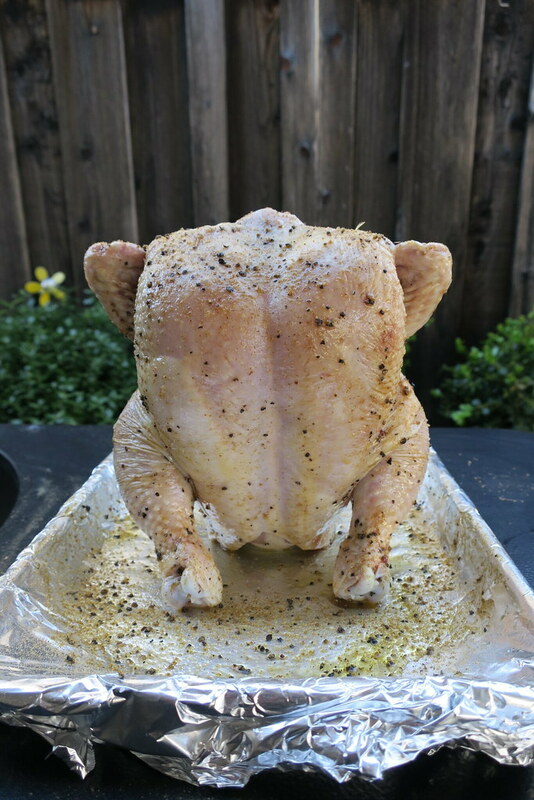 Rest Beer Can Chicken – Remove chicken from grill/smoker. Allow chicken to rest for at least twenty minutes before carving. Carefully remove beer can from chicken. Carve chicken and serve. Beer Can Chicken can be roasted in the oven. Roast in oven at 375 degrees.